My name’s Joe and I have over 30 years experience working with dogs. 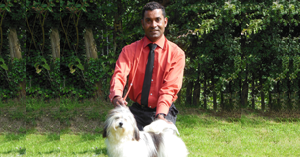 As a fully qualified dog groomer and Kennel Club judge I have a wealth of experience, which I can now put to good use to care for your pets. I know how important grooming is for dogs; it’s a big part of their well-being, which is why I take so much pride in it. You could almost call it an obsession – so you can guarantee that your dog will always come home smelling lovely and fresh! 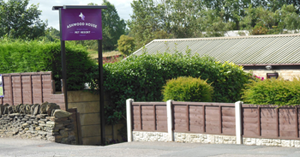 I also have four dogs of my own that live in purpose built kennels, with separate hard and soft exercise areas, to ensure they have everything they need in a comfortable environment. It is this love and care for animals that has led me to fulfil my life-long dream of opening my own pet resort.